Established by Vietnamese owners, Golden Gate and Redsun now run more than 300 restaurants under 30 brands across the country. It is no secret that Vietnamese love eating out. It is also a fact that nation has achieved renown as one of the best places in the world for street food. Jostling for space in this culinary milieu, and succeeding handsomely, are Kichi-kichi, Gogihouse, SumoBBQ and ThaiExpress. These are no strange names to Vietnamese who love dinning out. They are among most popular grill and hotpot restaurant brands in the country. However, not a lot of restaurant goers are aware that they are established and run by Vietnamese. In 2005, with the help of two friends, Dao The Vinh, an entrepreneur in his early 30s, opened the first Ashima mushroom hotpot restaurant on Phan Dinh Phung Street in Hanoi after falling in love with a local hotspot dish during his trip to the “heaven on Earth” city of Shangrila in Yunnan, China. Ashima succeeded beyond the expectations of its founders, who simply thought they were doing what they loved. In just two years, the number of Ashima restaurants had increased to six, three of them in Ho Chi Minh City. The fast growth of Ashima caught the eye of Vietnamese private equity firm Mekong Capital, which invested $2.6 million in Hoang Thanh Joint Stock Company, which was renamed Golden Gate in 2017. Golden Gate was given a major makeover with the support of its investor Mekong Capital. The venture fund helped turn Golden Gate into a restaurant chain operator by introducing several restaurant concepts. In 2010, the owner of Ashima opened the Kichi-Kichi rotary express hotpot restaurants, and the Sumo BBQ grill and hotpot restaurants. But its golden era did not come until 2013 when it established a food distribution and processing center in Hanoi and introduced several new food brands, notably Gogi House, 37th Street and Ba Con Cuu (Three Lambs). Its revenue then exceeded VND500 billion ($22 million) for the first time, up more than 60 percent over the previous year. Its rapid growth story did not end there. In the following years, Golden Gate continued setting up new restaurant chains including American dining style Cowboy Jack’s or Vuvuzela beer clubs and City Beer Station. Its earnings skyrocketed to reach VND1.2 trillion ($52.7 million) in 2014 and went on to triple that amount to VND3.3 trillion ($145 million) last year. Golden Gate's revenue skyrocketed by seven-fold within only four years. The restaurant chain has logged a nearly seven-fold jump in revenue within four years since 2013. 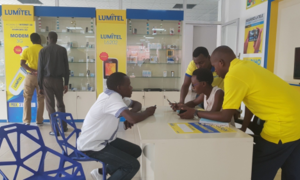 This success is even more impressive considering that its gross profit margin stood at 62 percent in 2017. To put it another way, only 38 out of every 100 dong from clients’ pockets was paid for food cost. 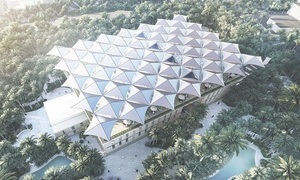 Its biggest expenses are employee salaries and space rentals, which account for more than 20 percent of total revenue. Golden Gate earned VND250 billion ($11 million) in profits last year, which might not be an impressive sum in itself, but when considering the charter capital of VND64 billion ($2.8 million), its return on equity ratio has jumped to nearly 400 per cent, something very rare for Vietnamese firms. 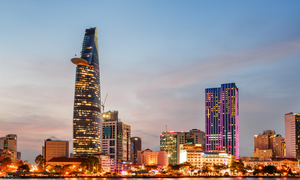 Mekong Capital has announced that it recouped its investment in Golden Gate 9.1 times after selling its holdings in the company to Standard Chartered Private Equity (SCPE), the private equity arm of Standard Chartered Bank, in 2014. Since then, Golden Gate has set ambitious targets of increasing its number of restaurants to 400 in four years and posting revenues of $200 million in 2018. While its impressive track record puts Golden Gate on course to meet its new targets, in the longer run, higher aims could see it run into stiff competition in the restaurant sector. At the moment, one of the enterprises that can go head-to-head with Golden Gate in the grill and hotpot segment is Redsun ITI. Founded in 2008, the company, which is a member of the Goldsun Group which operates in three sectors – food and restaurants, household goods, and packaging and printing, now operates 12 restaurant brands and 140 restaurants across the country. 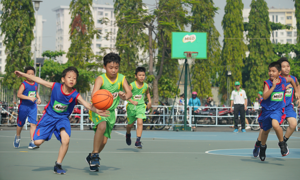 Different from Golden Gate’s approach of creating “made-in-Vietnam” brands, Redsun sees franchise as its long-term strategy. 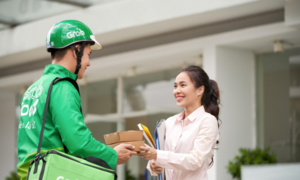 In the first three years of its development, it bought four international brands including Thai Express and Seoul Garden. 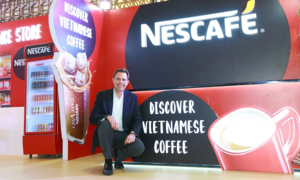 But as it often takes time to seek franchise owners’ approval to adjust the concept to suit Vietnamese tastes, Redsun ITI created its own restaurant franchises to take advantage of market opportunities, Le Vu Minh, the company’s vice president of Franchising, R&D, and International Relations, told the Vietnam Investment Review. 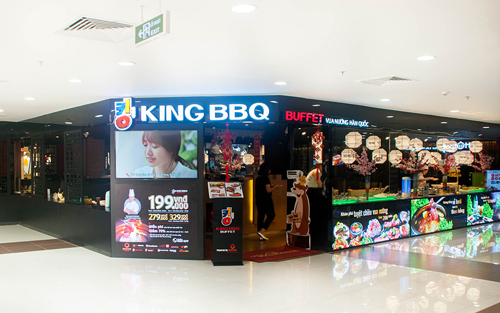 The company launched its first franchise concept, named King BBQ, in 2011 and began to offer franchise opportunities in 2014. The brand now has a strong presence in the market with 75 restaurants nationwide, 15 per cent of which are franchised outlets. On the back of this success, Redsun ITI introduced a second concept known as Hotpot Story in 2017. 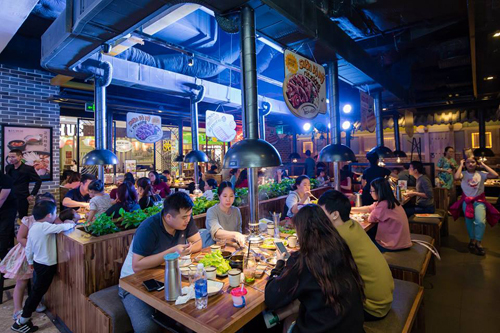 The company has already sold Hotpot Story franchises after opening 10 restaurants each in Hanoi and Ho Chi Minh City..
RedSun-owned King BBQ now has a strong presence in the market with 75 restaurants across the country. Redsun’s growth story is quite modest compared to its bigger rival Golden Gate. According to market analysis firm Vietnam Industry Research and Consultancy, the restaurant operator posted revenues of VND360 billion ($15.8 million) with a small profit margin in 2016. While only two of Redsun’s brands --King BBQ and ThaiExpress-- have gained popularity in the market, Golden Gate has a diverse market presence, offering a variety of food choices including Vietnamese, Japanese, Korean and American cuisines. By the end of last year, Golden Gate had total assets of nearly VND1.5 trillion ($66.9 million), while Redsun’s assets were worth VND360 billion ($15.8 million). The owners of King BBQ recently increased its charter capital to VND150 billion ($6.6 million) from VND70 billion ($3.1 million) in the first quarter of 2018. 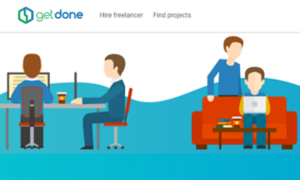 At the moment, it has no plans to call for outside investors. Redsun has also aims at setting up 400 restaurants in three more years, half of which will be franchisees.